Automatic driving lessons Dudley with Stefan is one of the most experienced and respected automatic driving instructors in the Dudley. 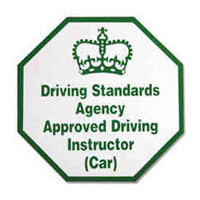 As a fully qualified approved ADI driving Instructor for over 30 Years teaching automatic driving lessons Dudley for 20 years. What ever your driving experience we have automatic lessons Dudley. Intensive driving courses to suit your needs. Nervous pupils and overseas drivers needing to take a UK driving test are welcome. We will teach you to be a safe and competent driver our training programs are structured to suit your needs. We will teach you to be a safe and competent driver our training programs are structured to suit your needs as a learner driver. We use the latest teaching aid with the DSA learn to drive Syllabus recording your progress as you learn, in a modern dual controlled Car. Automatic driving lessons Dudley DY are some of the most experienced and respected automatic driving instructors Dudley, All are fully qualified approved ADI driving Instructors that offer weekly lessons and automatic fast pass intensive courses. What ever your driving experience we have automatic driving lessons Dudley or intensive courses to suit your needs, Nervous pupils and overseas drivers needing to take a UK driving test are welcome. Without changing gears and no clutch to worry about you have more time to concentrate on the road ahead giving you more time to plan and anticipate any hazard making driving much easier.